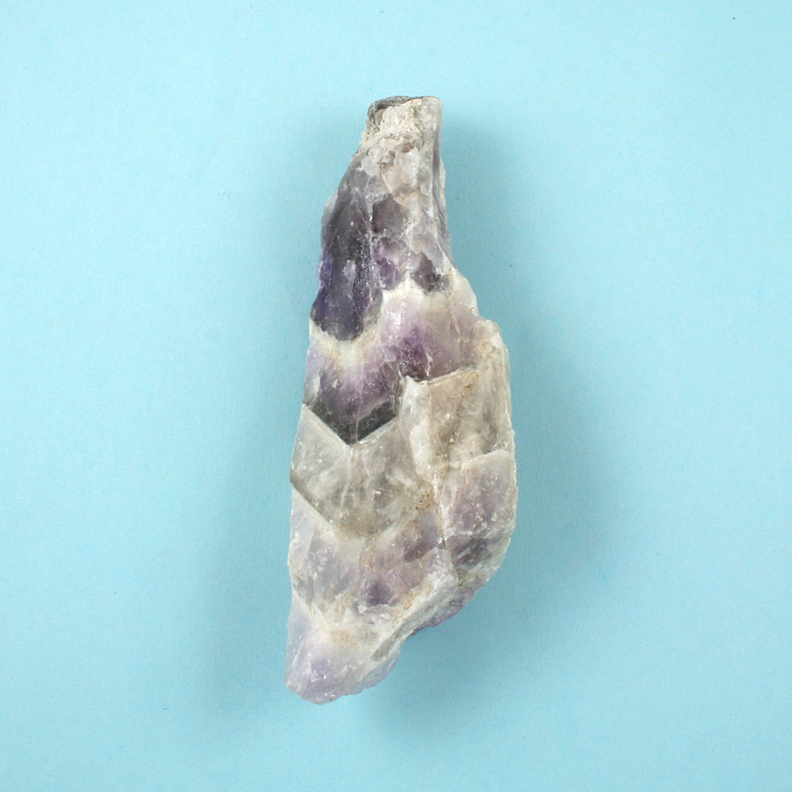 "This interesting stone from off the coast of Africa appears to be a banded mixture of white Quartz and purple Amethyst, with v-shaped patterning. 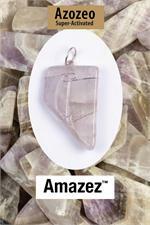 When we checked the energies, we were amazed to recognize that it vibrated in the frequencies of Azeztulite! This discovery confirmed what the Azez––the guardian angelic group soul responsible for all the Azeztulites––had foretold. Continent-by-continent, the energies of the Nameless Light are penetrating and activating more and more varieties of Quartz in an increasing number of locations. This process, and all the energies moving toward Planetary Vibrational Ascension, appears to have been accelerated, just as the Azez foretold."